The skin on your body does some really amazing things including protection, sensory reception, regulation of body temperature, and synthesis of vitamin D. Because your skin performs many functions to keep you healthy, it makes sense to know a little about the healing process our bodies need to go through when we need to heal a wound. When you get an injury to your skin, either by accident or design, the wound will go through four healing phases. The names of theses stages are hemostasis, inflammation, proliferation, and remodeling. Hemostasis is the initial phase of wound healing, and begins almost immediately after the wound occurs. During hemostasis, the body releases chemicals that begin the process of healing the wound. The most immediate need of the body is to prevent too much blood loss. This is called vasoconstriction, and may last as long as a half hour. Coagulation begins in the blood leaking from the inflamed, dilated, or broken vessels. Collagen fibers in the walls of the vessels activate platelets in the blood around the wound and form a temporary plug to help control blood loss. Eventually, clots will form to close the small vessels and bring active bleeding to a stop. Next comes inflammation. During the inflammatory phase of healing, the permeability of the vessels in and around the wound increases, permitting fluid to accumulate in the tissue around the wound. This increase in fluid causes the area around the wound to appear swollen, red, and warm when you touch it. The inflammatory phase is important for preventing wound infection. It’s during this phase of healing that white blood cells enter the area to help remove bacteria and contaminants, and begin the early process of granulation by attracting the cells needed for the formation of new blood vessels. Granulation tissue is a delicate tissue ranging in color from bright pink to red. It is composed mostly of new capillaries that grow into the damaged area, generated from undamaged blood vessels found in nearby tissue. Brand new capillaries are very fragile and bleed easily. 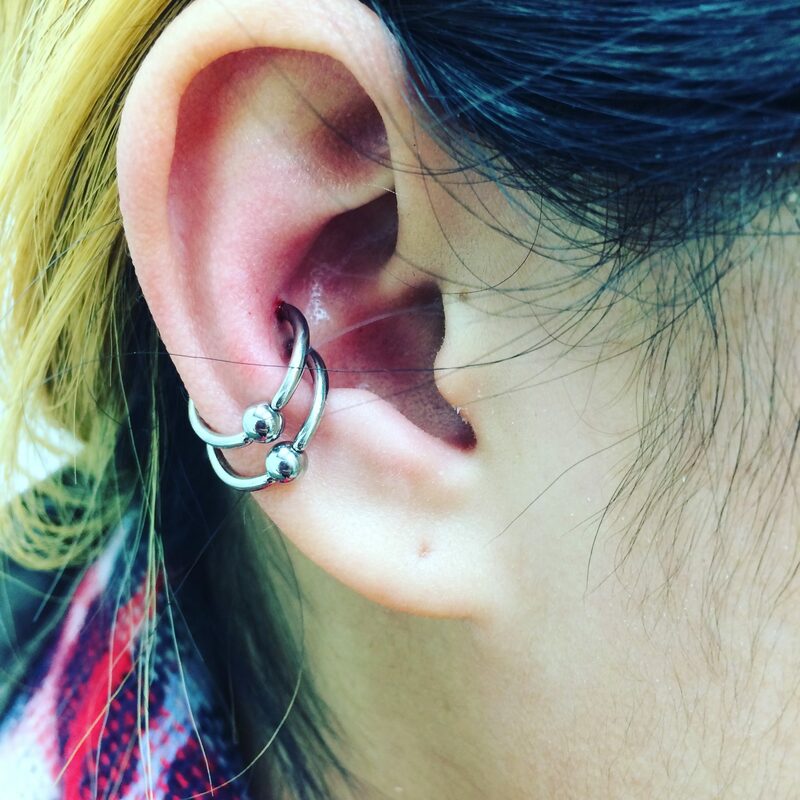 This is one reason why new piercings must be treated very gently as granulation tissue is fragile and can easily be re-injured by rough handling or harsh chemicals. Remodeling is the period during which the wound changes and matures. During remodeling, the wound contracts and the scar shrinks. The last phase may last from six months to two years, depending on the care of the wound, the health of the piercee, and the quality of circulation of surrounding tissue (cartilage vs. mucous membranes).